Brazil edged past a Lionel Messi-less Argentina 1-0 in Saudi Arabia on Tuesday courtesy of Miranda's 93rd-minute winner. Tite's Brazil were far from convincing in attack as they struggled to create any clear-cut chances, with Argentina appearing set to earn a draw in the sapping Saudi heat. "Argentina created chances to score, tried to win, but Brazil were better and the team's performance was rewarded with the goal," Tite told reporters. 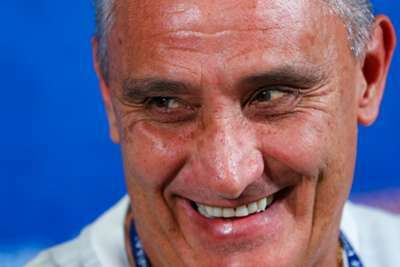 Tite added: "It [Miranda's winner] could have been another time, but it was in the end. "The team were concentrating. The corner was the result of a volume of play that we put in the game." "I am very happy, first, to help my team-mates, and to make a goal against Argentina is exciting and rewarding," the 34-year-old said. "I dedicate the goal to those who trusted and supported my family. Today I met my wife 16 years ago. and I'm excited, making a goal is very difficult ... A kiss for my wife and my children, I want to celebrate the goal with them."